The Protest Chameli tunic is an ideal top for chilling out. The tunic may seem basic, but it is adorned with all sorts of rich detailing. There is luxurious lace at the shoulders and the sleeves are rolled up for a playful look. 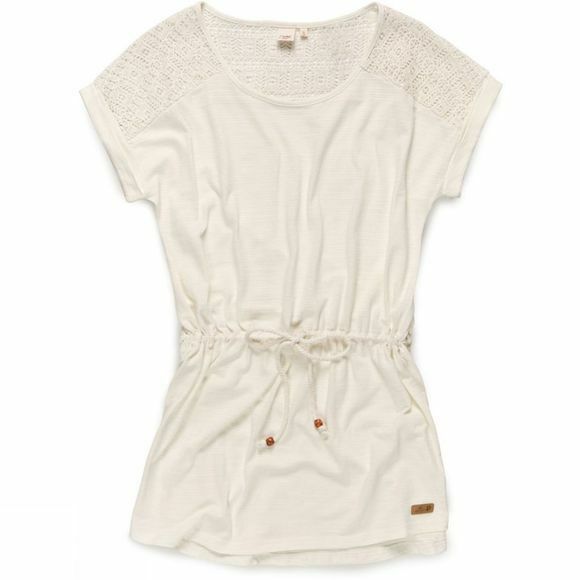 It also features a cool cord at the waist with wooden bead details. This tunic is the perfect top layer to complete your summer outfit. Perfect worn over your bikini on a day at the beach, or as an extra layer on a sultry summer evening. The choice is yours!